I know what you're thinking, mostly because when I first heard of this flavor combination a few years ago... I was a little skeptical as well. 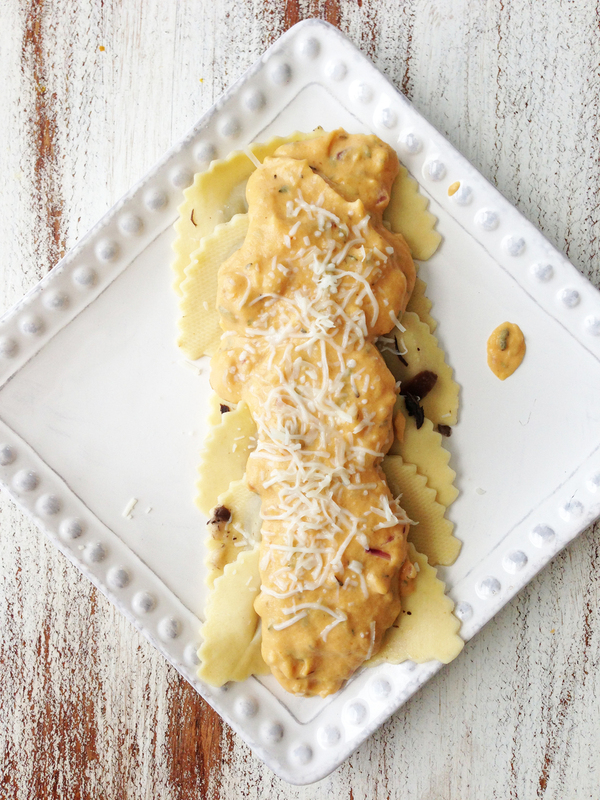 But, I promise this sauce is absolutely amazing and perfect for fall! The taste of pumpkin is very mild here, but adds just enough of a hint to the alfredo to bring you into the new season with it's warmth and color. You could use this sauce in substitution for any other place where you would use a typical alfredo. If you love pumpkin, feel free to add in more puree and adjust the sauce accordingly to your taste. I kept pretty safe and used this sauce over some mushroom ravioli, but I plan to use up the little bit of leftovers to drizzle over a pumpkin alfredo pizza tonight. Mhm... that's right. Pumpkin alfredo pizza. Melt the butter in a large pan over medium heat and add in the onion. Saute until the onions are tender. This shouldn't take long, maybe a minute or two. Add in the herbs and water (or broth.) Allow to cook down slightly. Be sure you're using fresh herbs or leaves. You don't want dried 'ground' herbs as it will muddy the color of the sauce. Stir in the pumpkin puree until well blended. Add in the prepared alfredo sauce. 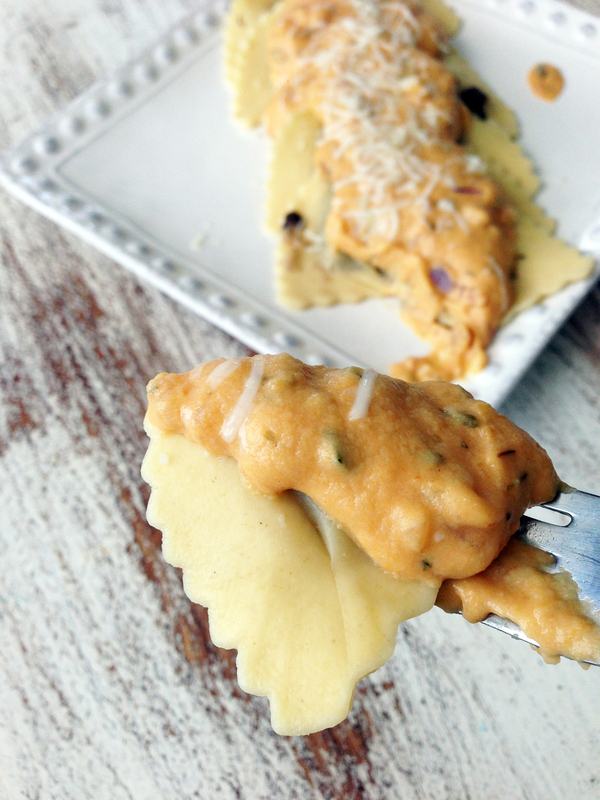 Serve over cooked pasta or however you fancy using this fall inspired alfredo!